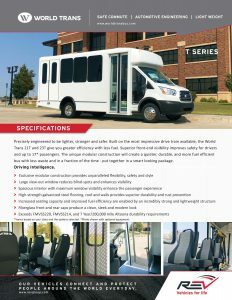 Whether our customer is a hospital, church, retirement community, out-reach program, college or university, school system, private or public transit agency, Hoekstra Transportation has it covered. 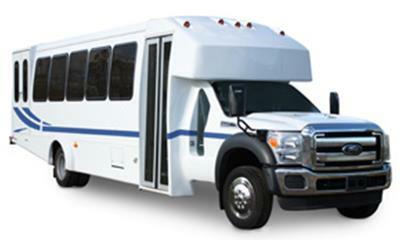 Offering solutions from 4 – 44 passenger shuttle buses, we are certain to have what you are looking for. 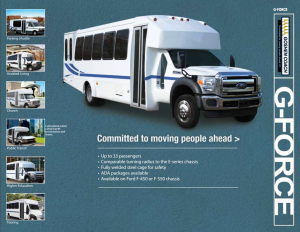 Your path to one of the safest and most versatile shuttle bus lineups starts here. 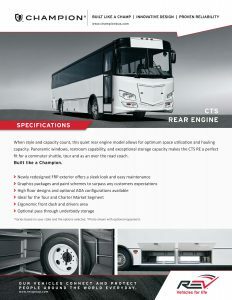 World Trans’ commercial buses have revolutionized the bus industry with a modular design that’s safer, more lightweight and offers a quicker turnaround time than the competition, all packed with industry-best features. 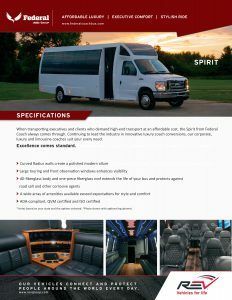 Built on either a Ford E-350/450 or Chevy G3500/4500 chassis, each bus also comes available in a narrow or wide body design. 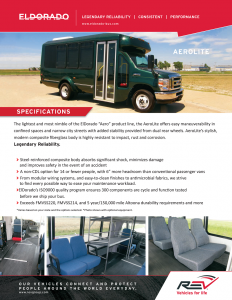 ElDorado manufactures light- and medium-duty mid-size commercial buses for public transit, paratransit, airport, parking, hotel/resort, group tour, assisted living, church and college/university markets. 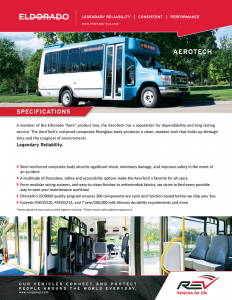 Available in a wide choice of vehicle specifications and seating configurations, the company’s Aero bus models range from 19’ to 32’ in length and can seat up to 33 passengers. 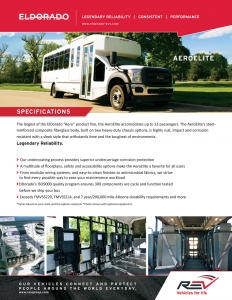 The lightweight steel-reinforced fiberglass composite body structure is durable and meets all industry performance and safety standards. 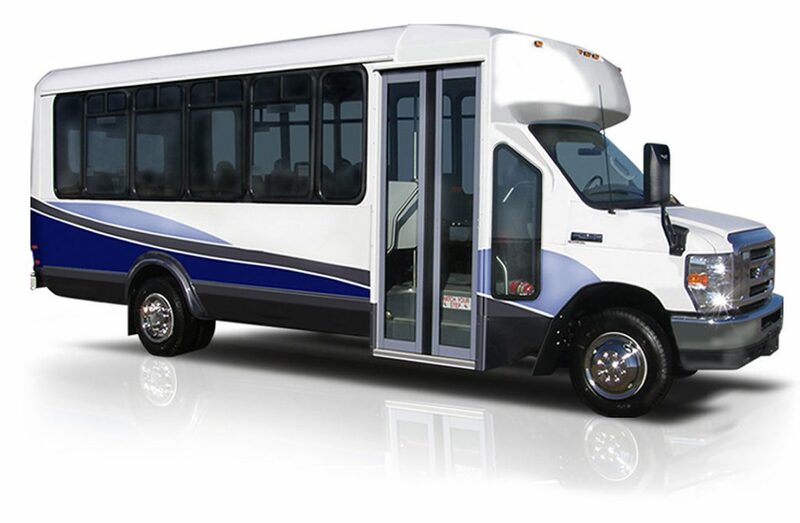 As one of the leaders in the commercial bus industry, Goshen Coach has been building specialty vehicles since 1985. 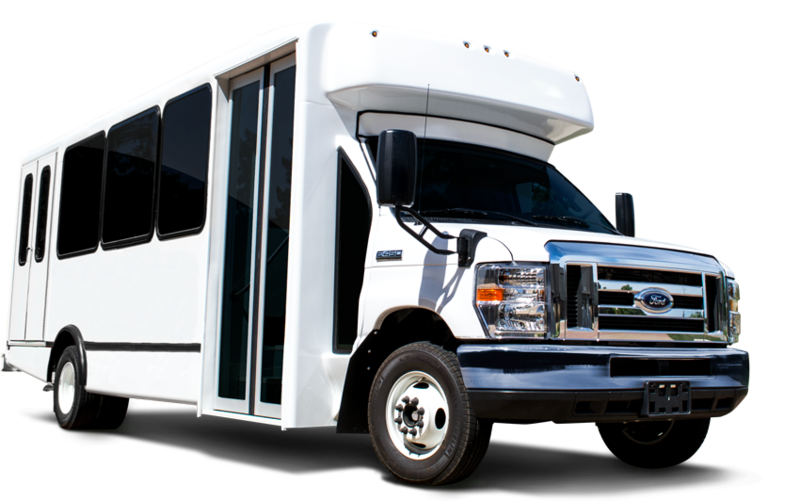 We work closely with commercial and municipal customers to provide efficient and affordable transportation solutions for any application. 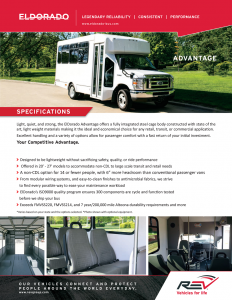 All Goshen Coach vehicles are rigorously tested to meet or exceed Federal Motor Vehicle Standards including complete road and independent crash tests, environmental rain booth test, federal vehicle roll over standards, brake tests, floor strength, seat belt and window pull testing. 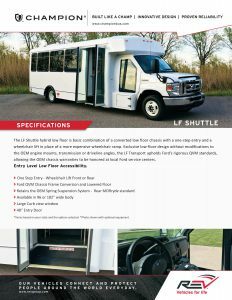 Do you need accessibility but are frustrated by wheelchair lifts?The LF Transport offers equal access, comfort, and dignity for all passengers in a shuttle bus that everyone can appreciate. 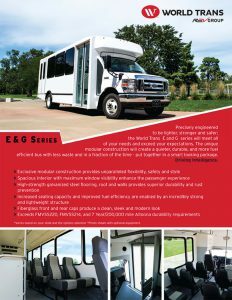 Passengers and operators alike will be pleased with the spacious interior cabin, smooth ride and panoramic views seen through large windows. 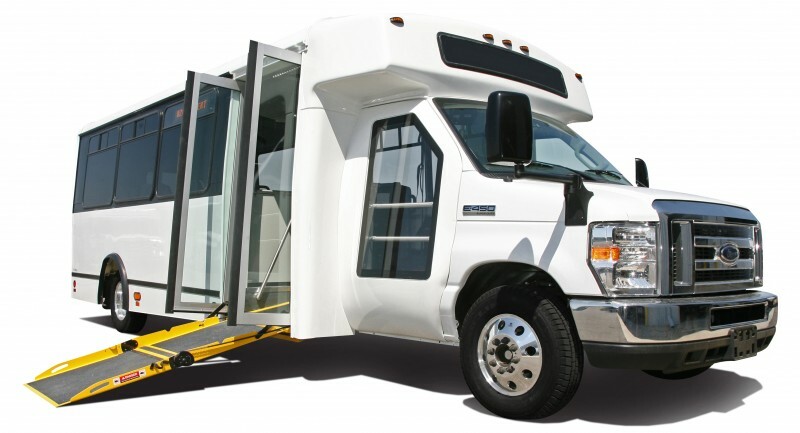 A uniformly sloped, easy to operate powered ramp and a variety of kneeling options are the essence of accessibility. 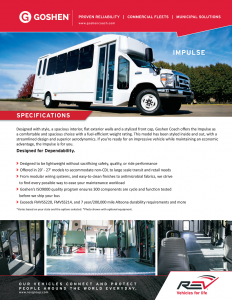 Capacities range from non-CDL 14 passengers up to 25 passengers with room for 0-7 wheelchairs. Call today for a demonstration of the future! 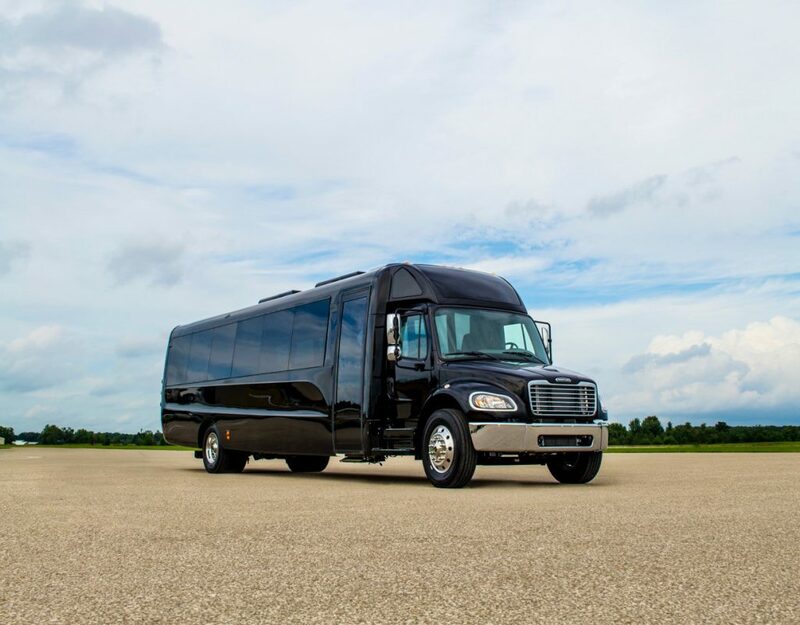 There’s a reason why Federal Coach is America’s fastest growing luxury bus brand. 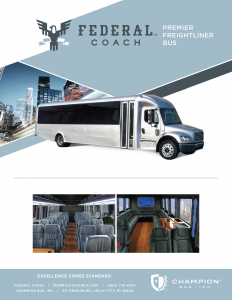 Offering executive and limo buses that are purposefully designed to deliver the perfect balance of style, luxury, comfort and value for 12 to 44 happy passengers. 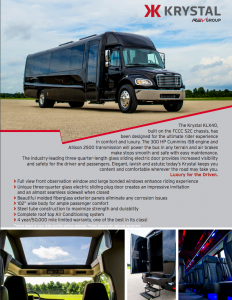 Whether you’re expanding your fleet or buying your first luxury bus, you want more than just a second-to-none luxury vehicle. You also deserve bottom-line results from a manufacturer that has proven its commitment to stand behind you with parts, service and support for the long haul. With Krystal, that’s exactly what you’ll get. 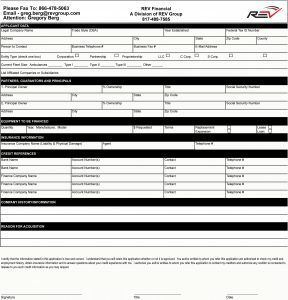 At Hoekstra Transportation we want you to get the best possible vehicle for your specific need, at the best value. For many, leasing is a great alternative to purchasing. 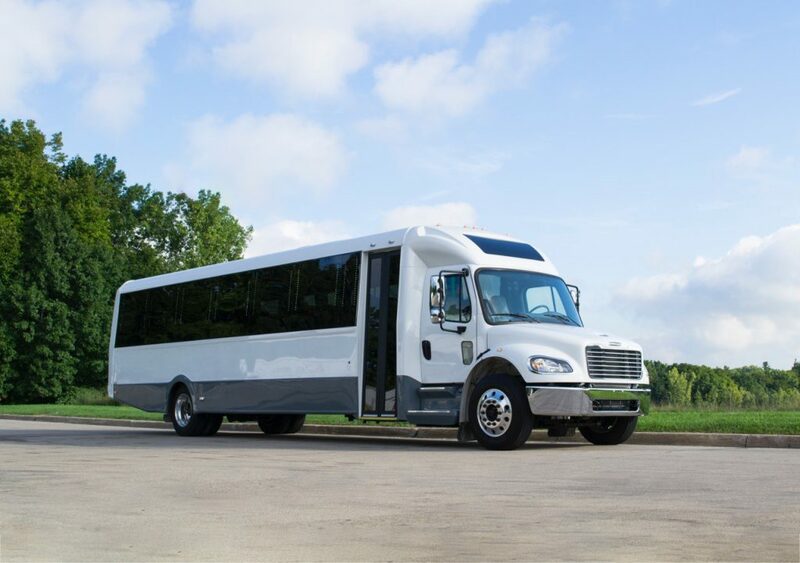 Leasing buses from Hoekstra Transportation can keep your fleet looking new, allow for less downtime with fewer maintenance costs and lower your monthly payment.